Smile More with Pendleton Family Dental! 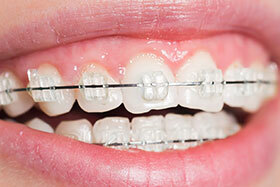 Orthodontics, the science of repositioning teeth, has helped countless patients enjoy healthy, confident smiles. Dr. Paul can create beautiful smiles, re-align the jaws, ensure proper oral development in children, and reduce the risk of TMJ dysfunction. Early Treatment We are experts in determining whether early (interceptive) orthodontics is valuable to your child. Early orthodontic treatment can relieve or correct many bite problems before they become permanent or bad habits form. More importantly, it can reduce the expense of orthodontics and time needed in braces! 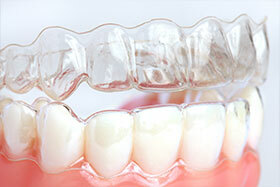 Adult Treatment Think you’re too old for braces? Think again! We provide expert orthodontics to patients of all ages, even adults. An assortment of aesthetic adult braces is available for patients who would like to discreetly straighten their smile. Retainers The retention phase of your treatment will begin once your Orthodontist has finished straightening your teeth. 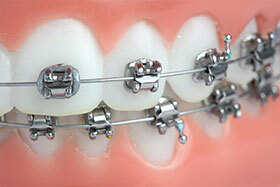 During this phase, you will be required to wear some type of dental retainers. 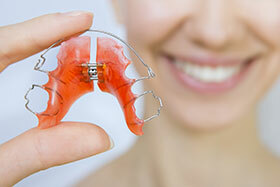 There are two types of retainers that are available. Fixed and removable; Fixed being permanently attached (bonded) to your teeth and removable being worn per your Orthodontists instructions. Each type of retainer has its own distinct advantages, which will be discussed with you during your orthodontic consultation. Orthodontics may be just what you or child needs to smile more – and enjoy smiling. When you are ready for an orthodontic experience that exceeds your expectations, contact our office to schedule your consultation!